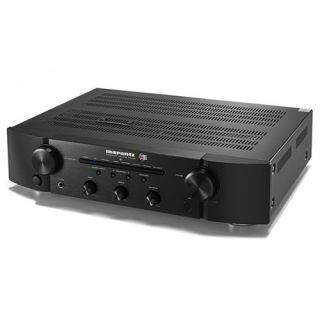 Save £50 on Award-winning Marantz PM6006 UK Edition amp for Cyber Monday | What Hi-Fi? It's fair to say that Marantz knows how to make a quality budget amplifier. One of its most recent success stories is the PM6006 UK Edition, which rules the roost at this end of the market. It enjoyed a £50 discount for Black Friday, but if you're feeling like you missed out, fear not - you can still snap up that saving today for Cyber Monday 2018. At Richer Sounds and Sevenoaks the stereo amp can be yours for just £299. Click through to the relevant retailers below to see the new price. It's a sensational performer, delivering a smooth, wholesome and seriously musical sound. Build quality is excellent for the money and there's a solid selection of inputs at your disposal. The only thing missing is a USB connection. If you already own the original PM6006, we probably wouldn't consider switching, but for those looking to build a new entry-level system or replace an old ageing amp, this is the perfect place to start. Why not partner it with something from our list of the best budget hi-fi speakers of 2018?